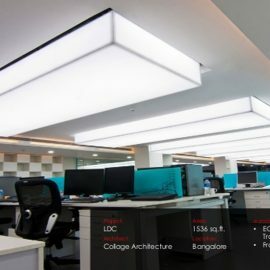 Anasayfa » Stretch ceiling » What is stretch ceiling? What is the stretch ceiling? The stretch ceiling is a pvc fabric used for decoration and lighting in ceilings and walls that can be used in many places and work places. There are varieties of this fabric according to the intended use. The common features are the use for decoration, although they have completely opposite properties. Because it can be easily installed, it can be applied almost anywhere. 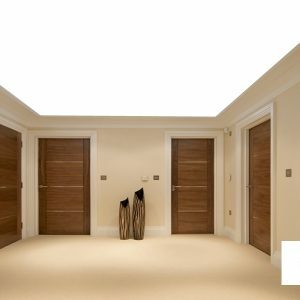 In other words, the stretch ceiling is a ceiling model that is used for lighting and decorative purposes with special profiles stretched by stretching ceiling fabric used in many areas. The spaces made with these ceiling systems reveal themselves more and more. It reflects modern lines more. How is the Stretch Ceiling Applied? In such ceiling systems, the quality of the fabric used and the quality of other materials should be considered. If the product is a poor quality, the possibility of tearing is high. When applying the fabric of this ceiling system, the installation of special profiles must be done correctly. All materials must be correctly assembled during assembly. Thus, a smooth and trouble-free application can be made. The fabrics are heated with a hot air burner and passed to the previously assembled profiles. Thus, ceiling system application is made. It offers the best ceiling decoration in the spaces and common living areas and performs very good lighting. This brings together a more elegant environment and better lighting. If you have a design that you think you should definitely include this application in this design. The ceiling system is the ceiling system that will make the most of your designs. What is the stretch ceiling?. 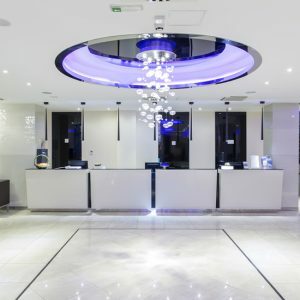 The stretch ceiling is a pvc fabric used for decoration and lighting in ceilings and walls that can be used in many places and work places. Tension ceilings are applied to the ceiling or wall by means of special profiles and wicks to apply pvc membrane fabrics. 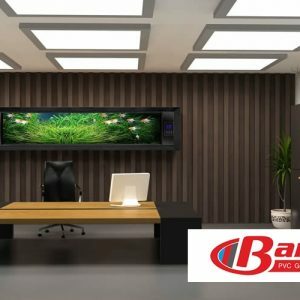 Barisol ceiling is another name in our country. Actually, barisol is a brand. But in our country and among the public, the stretch ceiling is not just as a barisol ceiling. LED lighting technology is used for back lighting in such ceiling applications. 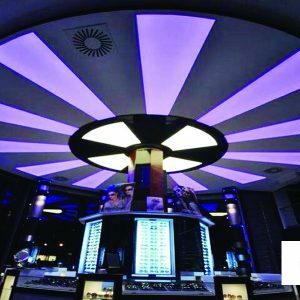 If it is such an application, it is called the illuminated stretch ceiling system. One of the biggest reasons for the application of LEDs is that they are both cheap and have a very long life. It also provides great energy savings. What is the stretch ceiling?. The stretch ceiling is a pvc fabric used for decoration and lighting in ceilings and walls that can be used in many places and work places. ; Many project ceilings and walls with stretch ceiling profiles have been specially designed and gained an aesthetic perspective. Excellent smooth results are obtained in the spaces applied by taking advantage of the flexibility of PVC fabric. 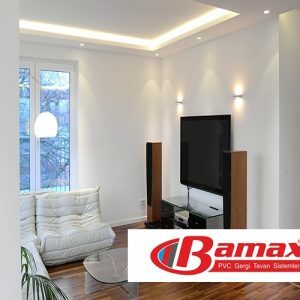 Bamax stretch ceiling profiles and stretch ceiling fabrics are designed and designed to be used in almost any project. Both round circular (round) or triangular and angular shapes can be designed with stretch ceiling profiles. And even 3D shapes were designed and implemented. Our stretch ceilings are flexible and have the desired form. Because of the flexibility of the stretched ceiling fabrics, folds or sharp corners can be produced from each cm because their profiles are designed to be flexible. Therefore, it can be applied to almost any shape. You can examine the stretch ceiling documents. What is the stretch ceiling?. 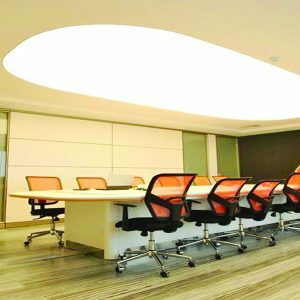 The stretch ceiling is a pvc fabric used for decoration and lighting in ceilings and walls that can be used in many places and work places. This product is used for both lighting and decorative purposes. It is the most used material in the ceiling decor thanks to its lightness and its ability to enter into every form. Interior designers can use this product in any design and can be used in almost every design. They can reflect the most modern lines of interiors with these ceiling models. In this way, a more modern ceiling is obtained and the other ceiling prices are up to 55%. This acquisition reflects both the interior architect and the customer. It is also the reason why it is preferred by its applicability. 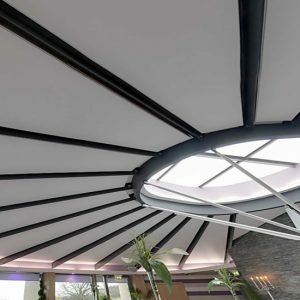 If you want a modern and decorative ceiling, you should definitely contact us. Our customer representatives will provide the fastest production with the best price. Stretch Ceiling, What is the stretch ceiling?